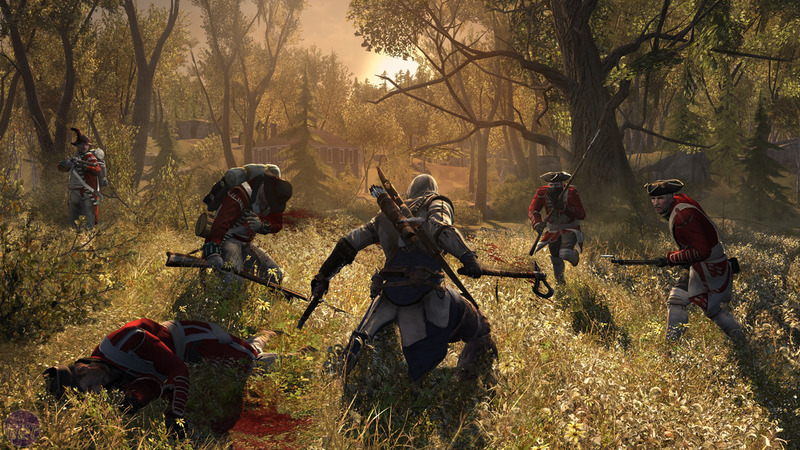 It's hard to know what to make of Assassin's Creed 3, but not for the reasons you might expect - it's not because of how the game itself looks or because of some stunning new feature. The game looks interesting enough, even if few of the additions feel particularly striking or dramatic; rather, the issue arises from how the game was presented. Last week we sat in on an hour-long presentation by Ubisoft and, while the talk was certainly very interesting from an academic point of view, most of it seemed irrelevant to the game itself. There was lots of talk about the development structure at Ubisoft and how the game, which has been in development for two years already, has progressed through pre-production, but little about what's going to be included at release. Take one of the new weapons, as an example. After 20 minutes of preamble we were told about a device called the Chainblade, which was described to be exactly what you'd expect of such a chainy, bladey synthesis. The chainblade was to be a new medium-range weapon, but was ultimately cut from the game when focus groups deemed the weapon a bit too fantastical. It was instead replaced with a different weapon - a Ropedart. More details on what the Ropedart was or how it worked in the game were not offered, however. It was only in a video at the end of the presentation that we saw the dart in action, without comment. 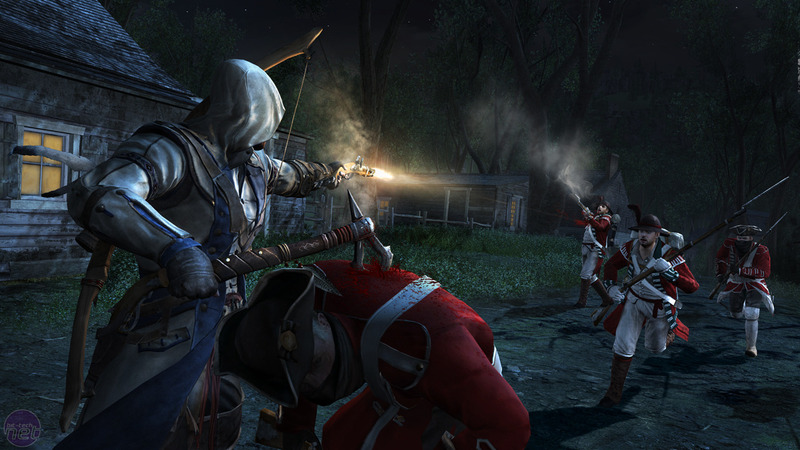 Connor, the new main character, fired dropped it from a treebranch onto an enemy, then dropped to the floor and pulled the foe into the air in the process. Connor too remains mostly a mystery. Early in the presentation we're shown a video that we're told will tell us a lot more about the character, but rather than telling us any of the hero's story the camera instead spirals around a stationary Connor and highlights his weapons. The video loops three times before the talking resumes, but all we know by the end is that Connor will carry dual pistols, a tomahawk, a bow and a hidden blade. Later, it's mentioned in passing that Connor is a half-British, half-native American man who's tribe was slaughtered. Several cutscenes show him talking to George Washington or other military leaders, but we have no idea why. As the presentation continues, it persists in focusing more on tiny details, content that was cut from the current build or subtle tweaks to the HUD. The level borders that you see while in the Animus, for example, are now displaced as 3D-modelled refraction effects, rather than as a flashing, glittery particle effect. It's the type of detail we love to hear about, but usually only after we know what the rest of the game is about. Rick discovers a pirate's life is most definitely for him.